Recently I was at the Northwest Flower and Garden show and spoke to a gardener who was excited about some new information from his garden club meeting. Their speaker was a dowser – who promotes dowse gardening. Now this was a new concept for me. I’ve heard of dowsing, of course, in the context of finding underground water. But dowse gardening? For me, this was an immediate red flag. It’s very much like the author’s motivation in The Sound of Music and Plants. Searching for a topic for an undergraduate research topic, she asked “What in the world can I do with music and plants?” Trying to force two unrelated subjects together without preliminary data to suggest the pairing is not a logical approach to scientific inquiry. Anyway. Back to dowse gardening. It would take me weeks to dissect all of the claims made in the handout. In brief, the presentation explains how to find energy, how to receive and broadcast energy, and how to use “subtle energy” to grow healthier plants and control pests. This circle garden just looks sad and lonely. As a scientist, it’s easy for me to discount all of this as silliness. But the fact remains that many people, including gardeners, long for mystical approaches to life. And unfortunately there are always going to be hucksters waiting to take advantage of that longing. The photo of the tree has more problems than just being lonely. The mulch that’s been installed is up against the trunk of the tree which, over time, will encourage bark rot or other fungal diseases. Areas of a tree that are covered with bark were not meant to be covered with soil or other moisture retentive materials, such as mulch. 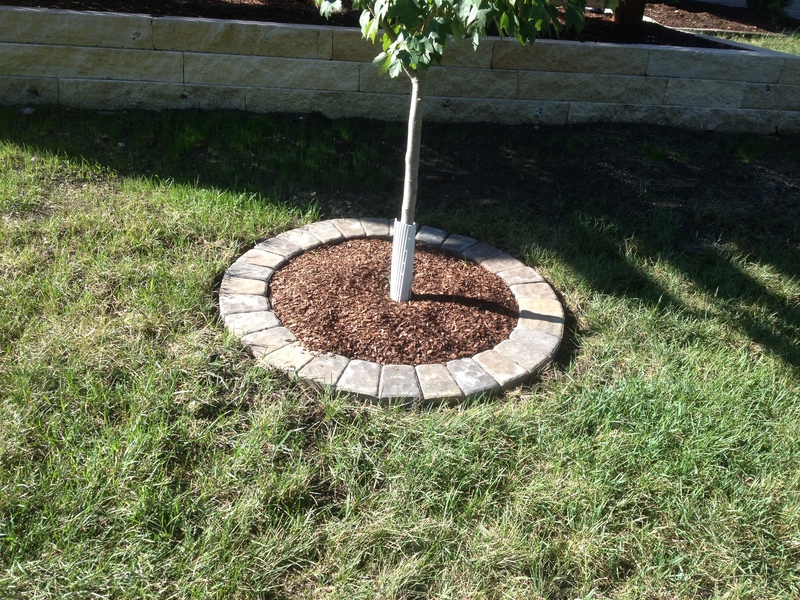 It is best to leave a clear mulch-free ring around the tree’s root crown. The set back should be 6″ to ensure that the mulch does not creep towards to root crown. Very good article. Loved it~ ! Why can’t they just read How Plants Work and save themselves a lot of time, money, and silliness? Sadly reading books seems to be a lost passion for too many people. More exciting to get it on the internet. And if someone typed or pasted it on the internet then it must be true! Findhorn! Here in the US! Points off for the visual strawman argument. Your circle garden example is merely a tree ring. Search for “circle garden energy” and you can find all sorts of gardens, some beautiful, others prosaic. But the basic design is that of plants growing in a set of circular beds, not a plant stuck in the middle of a circle. Tell you what – provide me with some scientific references for “circle garden energy” and I’ll be happy to read them and revise my post if necessary. Linda, you know what a straw man argument is. In this case you presented a simplified example that you knew was not what the speaker referred to. Skip the word “energy” and just google circle garden. There is only one photo that shows a tree ring. And since that links back to the photo in this blog, you can’t use it because that would be a circular argument. As to scientific references to “circle garden energy” (which I googled to see photo examples of what the speaker was referring to) there are none because, as your post points out, it has nothing to do with science. There are no scientific references to circle gardens, period. If you post a photo of a parking lot island with three Salvias, five Rudbeckias, and a Perovskia and call it an English Cottage Garden, there will be no scientific references to be found for “English Cottage Gardens” if someone calls you on that. I never said there was any scientific merit to any of the claims in the speaker’s outline. I merely dinged you on the visual logical fallacy you included in your piece. Two: Every decent looking circle garden photo I could find in an image search was not licensed for reuse. So I chose to use the sad tree rather than having unbroken text which is even worse than the tree ring. I have to admit, the tree circle was amusing. The best example of a circle garden, and by best I mean most absurd, was a photo titled “artificial grass circle garden”. The circular lawn overlapped hardscape circles and the whole was surrounded by semi-tropical plants. I assumed it was in southern California where artificial turf makes some sense. Turns out it was installed in Ireland! Not what I think of when I hear the phrase ‘a bit of the auld sod.’ Sadly, I doubt the photo was licensed for reuse. Have been beginning to think that some of your public are even more gullible than our own in the UK. This one takes the biscuit! 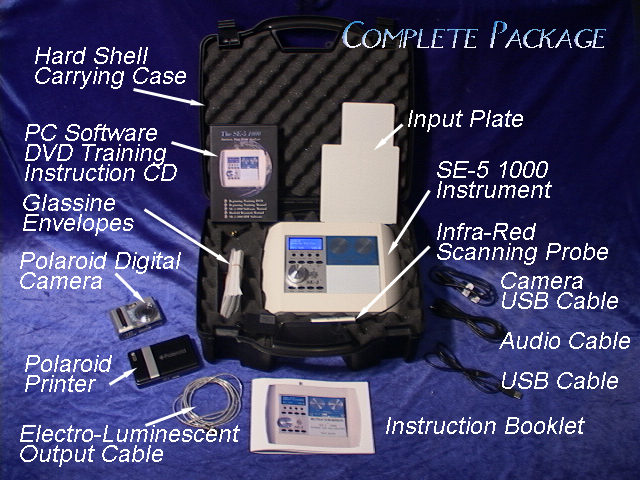 So many pieces of nonsense in one product claim. “But the fact remains that many people, including gardeners, long for mystical approaches to life.” Hey, I’ll ‘fess up to liking a little of the mystical in my life…but truth is far more awesome and mind-blowing and dare I say ‘magical’ than any woo-woo made-up pseudo-science. Linda, I look forward to you speaking here in Canada; I have been recommending this blog, the fb page, and your books to anyone who’ll listen. Thanks, Tiana, and I look forward to seeing you in Canada! 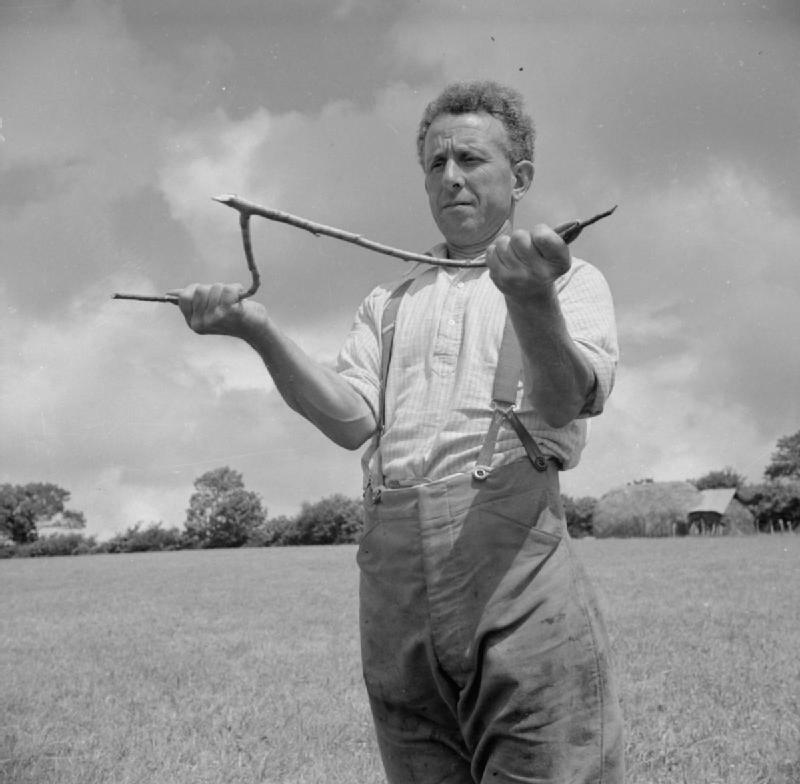 Fairy gardens, rock energy, and fairy circles aside, I have actually seen well drillers dowsing with metal rods to find veins of groundwater here in Pennsylvania. I couldn’t believe it was an actual practice used by professionals and not just a television joke!